The case, in stainless steel, measures 40mm x 12.6mm. It has an AR-coated domed box-shaped sapphire crystal, a sapphire display back, and it is water resistant to 50 meters. 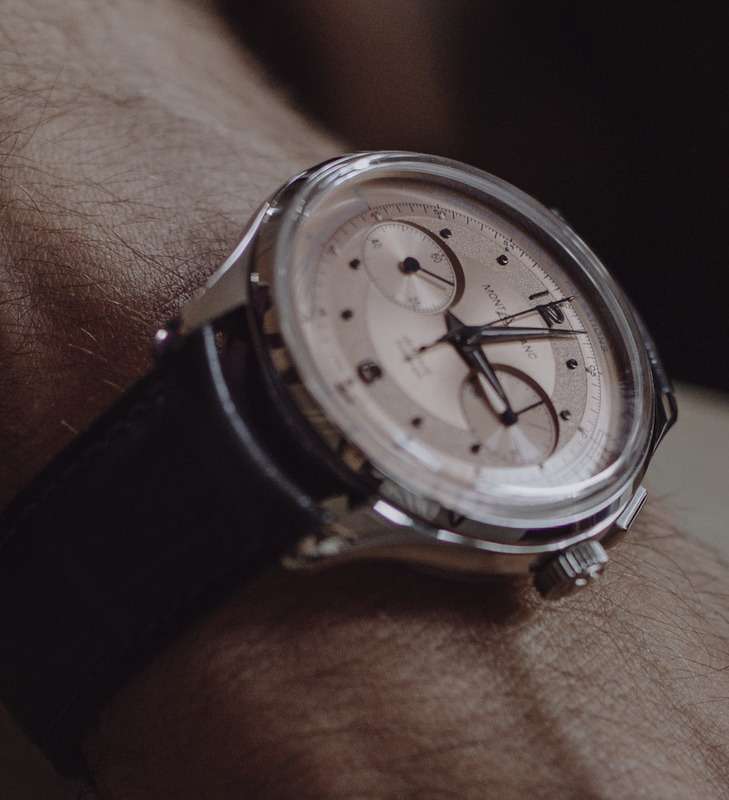 Monopusher chronograph at 2 o'clock. Movement is the Swiss manual-wind Montblanc in-house caliber MB M13.21 with 22 jewels, 18,000 vph and a power reserve of 55 hours. Monopusher with column-wheel and horizontal coupling. It features a Phillips terminal curve. Rhodium-coated German silver with Côtes de Genève, circular graining on both sides, hand-chamfered edges. Functions are: hours and minutes from the center, small seconds at 9 o'clock. 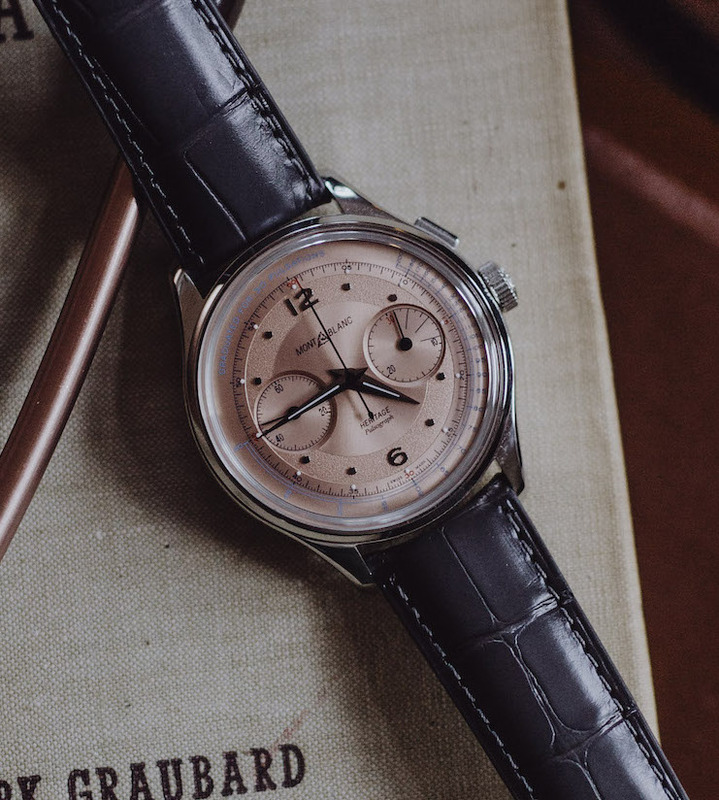 Chronograph's elapsed-second hand from the dial's center, 30-elapsed minute- counter at 3 o'clock. Pulsometer scale graduated for 30 pulsations. 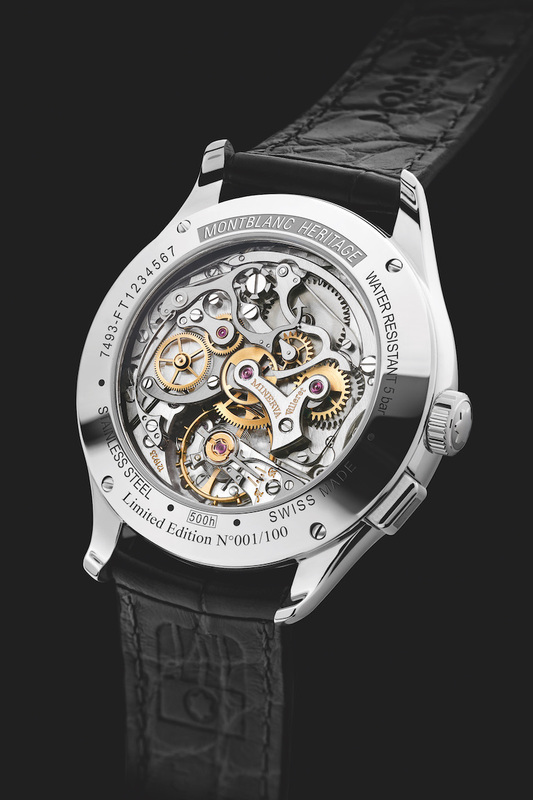 Certified by the Montblanc Laboratory Test 500. 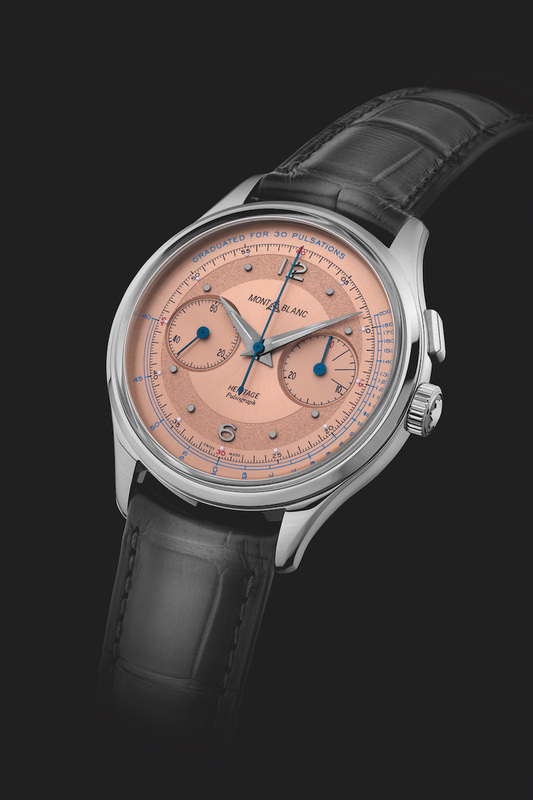 It has a domed salmon-colored dial with "grené" hour ring and sunray finishes, anthracite applied Arabic numerals and dots as indeces. 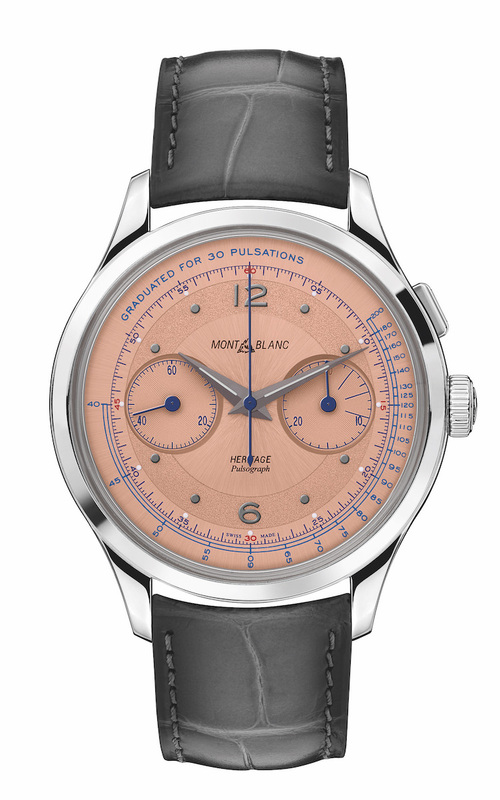 Anthracite luminescent bent dauphine hour- and minute-hands, blued baton second- and 30-minute chronograph counter-hands, blued bent baton central 60-second chronograph hand, historical Montblanc logo at 12 o'clock, pulsometer scale on the external part of the dial. It comes on a grey Sfumato alligator strap from Richemont Pelletteria in Florence, Italy with a steel triple-folding clasp.